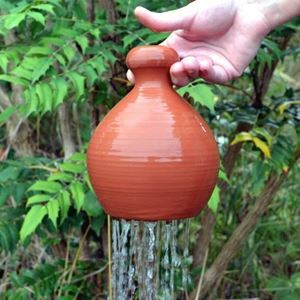 CLAY POT IRRIGATION - This adaptation of an ancient method of irrigation can save between 50% - 70% of water. 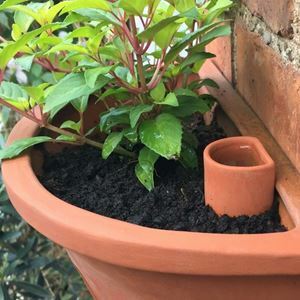 Our Terracotta 'Olla' Irrigation Pot, naturally regulates the release of water into the surrounding soil utilising the natural porosity of the terracotta clay. 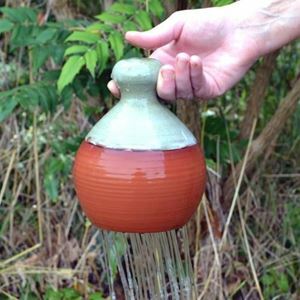 Water seeps through the walls of the unglazed olla pot & is gradually absorbed into the soil & plant roots. 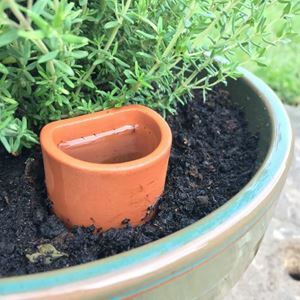 Designed for use in patio pots, container gardening & in the greenhouse. 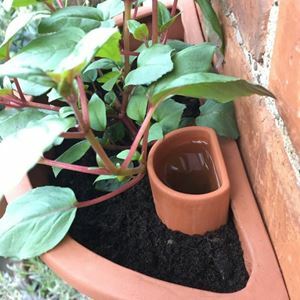 Our Wall Pot & Flowerpot Waterers slowly release moisture into the soil helping to prevent planted pots from drying out.